The day started with some rain at 9 o'clock, so we waited a bit until the road dried up. We did one warm up run, but it started to drizzle again, leaving the road patchy at some points. We waited until it was dry again and sent the second warm up down. Again there was some drizzle coming down. For the safety of the riders, the organisation then decided to shorten the track, to make sure we could do a safe race. This took some time, because we had to move the start line down and the finish line up (and thus no more wifi for updates). When this was done, the sun came out and we started the race on a completely dry track. We started with warm ups for every one to get used to the new track and after that it was on. Open did their first round, together with classic luge. Since there were only 16 classic riders, it only took 3 rounds, after which Mikel Echegaray-Diez came out on top, which surprised no one. He probably sold his soul to the devil, because his lines/speed/skills are out of this world. After this it was the women's and juniors turn, both a 32 man(/woman) bracket and a 16 man bracket for street luge. By the time we got up to the semi finals, the wind started blowing and rain started to come down so heavily we had to hold the tent down with several people to keep it from flying away. Within minutes the road was soaking wet and riders quickly threw on their rain wheels to prepare for the bonus runs (semis and consi/final). (Street luger) Kolby Parks (CAN) was hoping for rain for the final day, since he thought he would then have a better change in trying to beat Mikel and Abdil. It seemed the 'weather gods' favoured him because he managed to take 2nd place, after Mikel and before Abdil (Abdil is missing from this pic because he was out, trying to retrieve a bag left on the bus and Kolby was holding the wrong check). With this win, Mikel takes the place on the top spot in the ranking, with 3 WC wins and 1 WQS win. With Connor Ferguson and Philipp not being in juniors anymore, it was anybody's guess who would come across the finish line first in the final, which was between, Alex Charleson, Jørund Bratset, Pan Diemer and Vašek Cvancara. In the end it was Alex Charleson who ended before Jørund Bratset (2) and Vašek Cvancara (3). 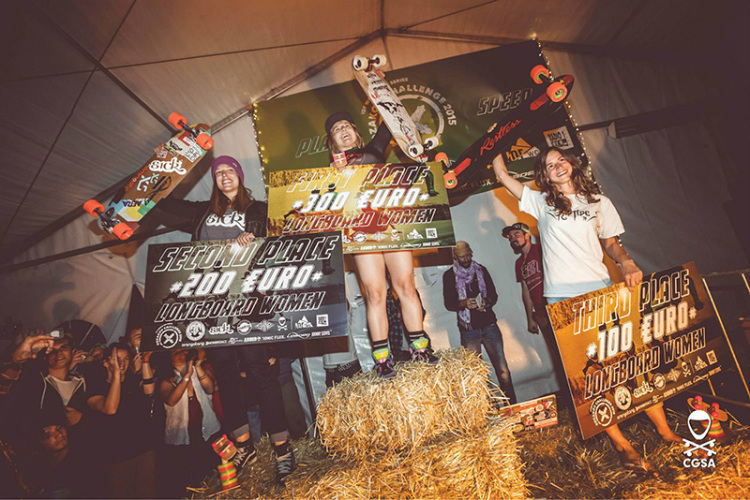 In the women's class, Emily Pross was ruling most heats leading up to the finals, which was between her, Lyde Begue, Marie Bougourd and Cassandra Duchesne. Again Emily showed what she was made of, beating Marie (2), Lyde (3) and Cassandra (4). 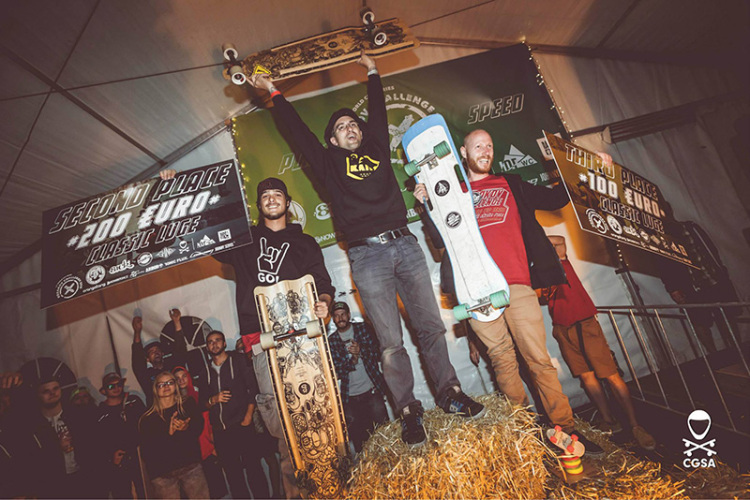 The open finals were quite unexpected since a lot of the favourites (and las year's finalists) got knocked out early, such as Connor Ferguson, P-Swiss, Seb Hertler and Kevin Reimer. The only finalist who made it back into the finals this year (and take 3rd place instead of 4th) was Carlos Paixao. 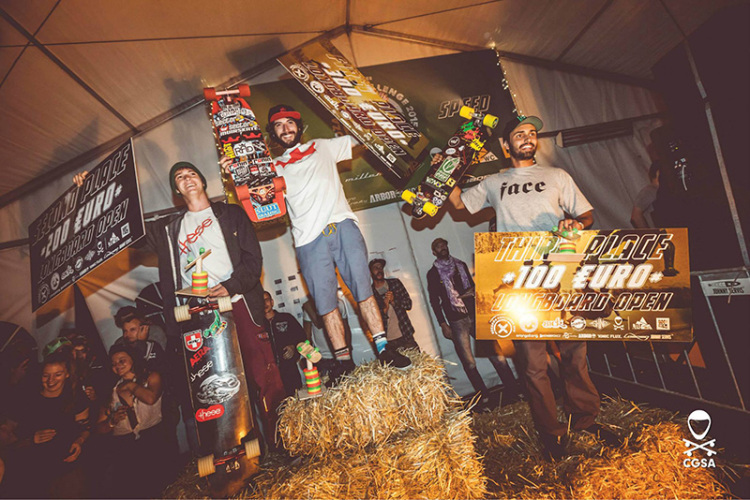 This year's final was between Nicola Nührig, Byron Essert, Carlos Paixao and Jimmy Riha. Big up to Nicola who didn't do any practice runs, but took his first runs during qualifying and set the 28th time and made it to the finals. He came in 4th, after Carlos Paixao (3), Byron Essert (2) and Jimmy Riha (1). 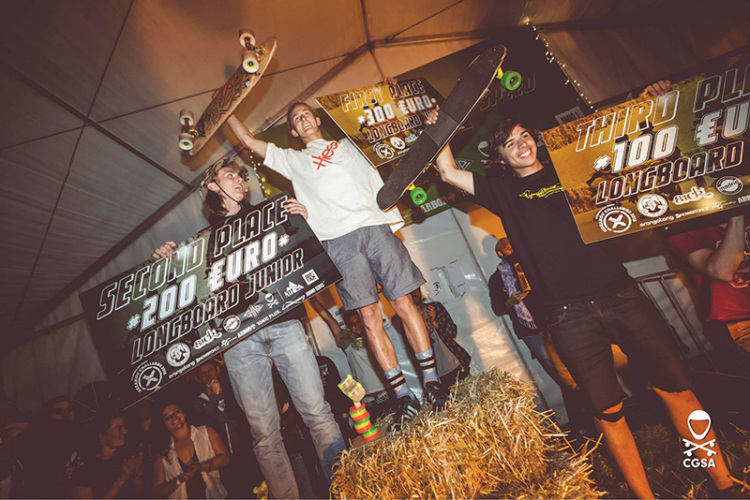 At 10 at night, the awards ceremony took place in front of hundreds of hyped spectators. The crowd cheered on everybody but especially Vašek Cvancara, the only Czech rider who made it to a podium during the event. After this the party started and went on 'till the early hours, like usual on Kozakov. 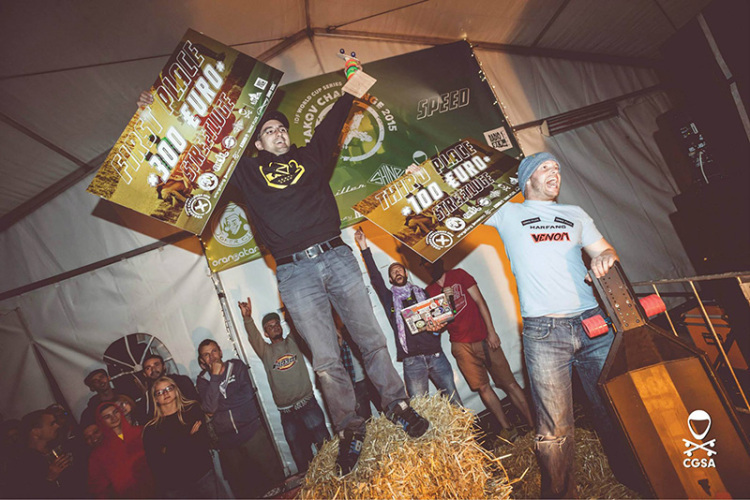 The party was of the hook, like were used to and which is definitely one of the reasons to go to Kozakov, as well as the raddest track on the IDF calendar.